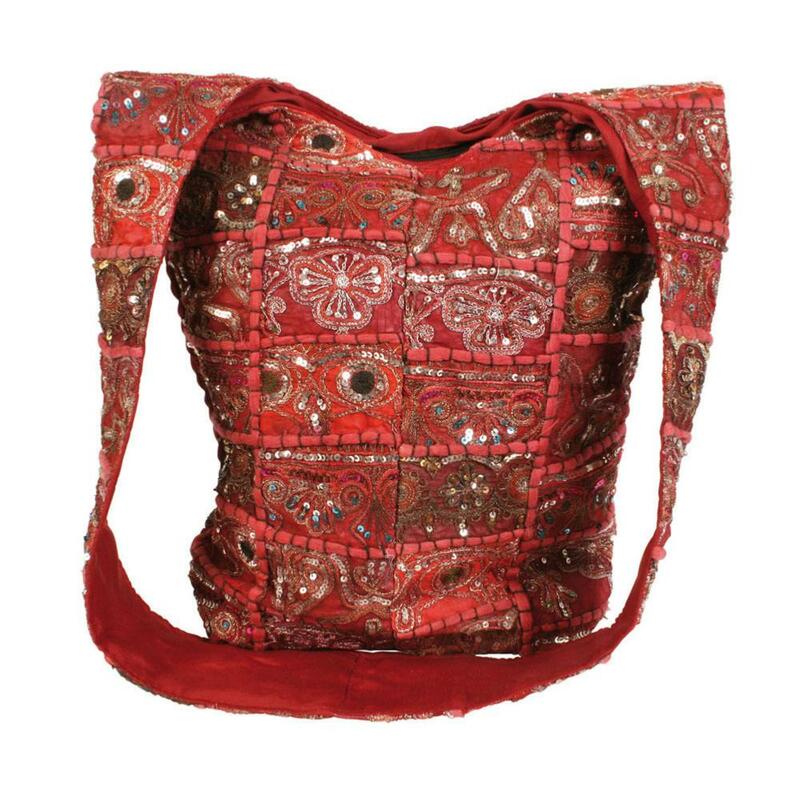 Red fabric cross body/shoulder bag with outer made from patchworked recycled sari fabrics. Features large, zipped pocket with fabric lining and smaller zipped pocket inside. Due to the recycled nature of the materials used each bag will vary slightly in colours and patterning.